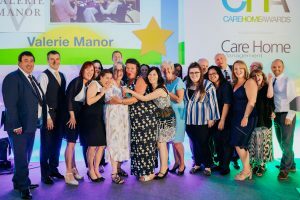 Valerie Manor………Best National Nursing Care! 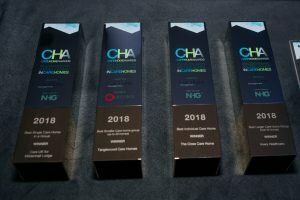 As you may have been aware we travelled up to London last week to attend the National Care Home Awards at the ExCel Centre. 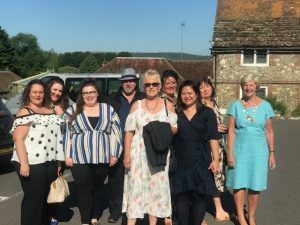 Our group was made up of 18 people mainly colleagues but we also invited Mike from Upper Beeding pharmacy and Steve our Paramedic Practitioner from Steyning Health Centre as they are a big part of the Nursing Care our residents receive. 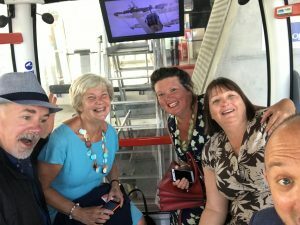 It is so nice to celebrate as a team for making the finals and so we arranged for everyone to meet at the O2 arena where we boarded the Emirates Air-line – a cable car ride across the Thames which provided stunning views of not only the O2 and the ExCel but also back towards Canary wharf. I think most people enjoyed the experience! 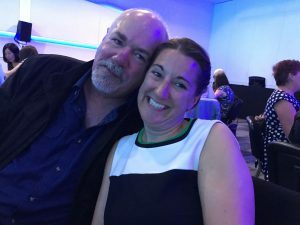 After a champagne reception we took our seats for the awards and enjoyed a delicious meal. It was touching to see that everyone that attended shared our passion for care and celebrated each category together. 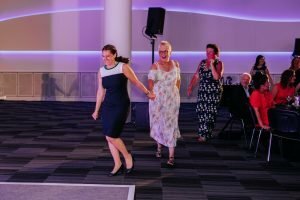 Best Nursing Care – and the winner is…………………..
VALERIE MANOR! 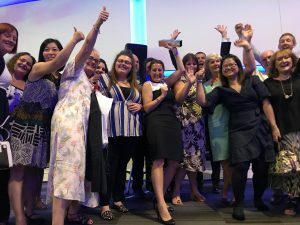 – It is safe to say we gave the loudest celebration cheer of the event – which proves that every member of the team feels passionate about providing the best possible care, which is why we always try to ensure everybody is offered the chance to attend an Award ceremony as a little thank you. Preeda also ‘livestreamed’ the announcement so that other colleagues could be part of it! 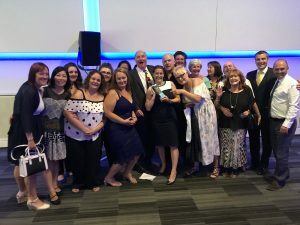 We all made our way on stage to be presented with the award by Alan Dedicoat (the Voice of the Balls from the National Lottery) who commented about our celebration cheer. Whilst we didn’t win the Nutrition, Food & the Dining Experience we are extremely proud of our excellent team in the kitchen and front of house for their dedication and efforts. 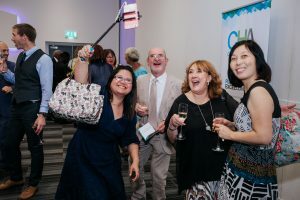 I’m sure you will agree that good news about Care doesn’t get that much press but to be part of an event like the Care Home Awards proves that it happens all the time. Alan & I would like to thank everyone involved at Valerie Manor for the continuous efforts and professionalism in looking after our residents and families.